There’s nothing you want to watch on TV, yet you flip mindlessly through the channels, searching, searching for anything that might remotely catch your interest. You know you have other things you should be doing but… just one more show, one more episode even though you’ve probably already seen it before. You’re bored, you’re restless. There’s that nagging doubt in the back of your mind that there must be more to life than this. It’s like you’ve lost control of your life and you’re helpless to stop watching. Is it that you lack willpower? No. It’s called TV addiction. You want to stop watching, yet it keeps calling you back and the hours simply disappear and you realize you can’t even remember what you saw or what happened during the episode. You really want to stop, but how? How do you overcome TV addiction and get back into living a life you actually enjoy? It’s not about willpower or being strong enough to quit cold turkey. Those are important but it’s not addressing the real cause of your TV addiction. You need to change your brain from being passive to being active. TV puts your mind into a passive, trance-like state and it interferes with your ability to make clear decisions. You might be wondering right now what TV addiction has to do with living a life of confidence, well, let me ask you this: If you're spending all your time watching TV watching other people live their lives, who's living your life? 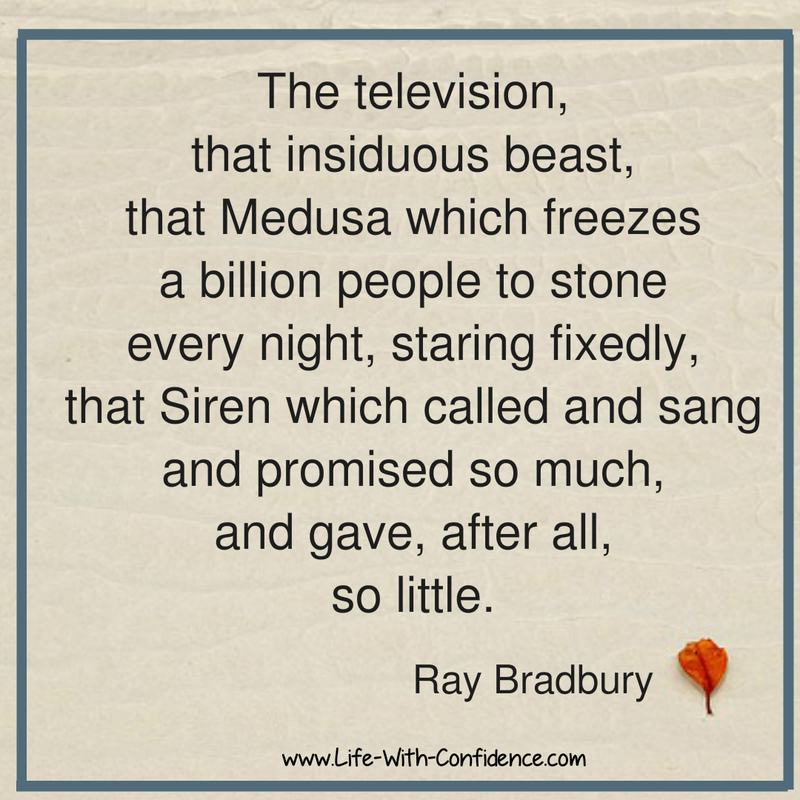 To have a life of confidence, you need to live your life, not just watch it on TV. So, you're now ready to make that change. Let's take a closer look at how you can make it work this time. Here's what you need to know. These are 22 powerful and original ways to regain control over your life and overcome watching too much TV. The most important part of making any change is having the sudden realization that you no longer want something in your life. So, why don't you want TV controlling your life anymore? It could simply be that you’ve had enough. First, make the decision you want to change. Then make the decision to choose something different for yourself. Be determined about this change. Don't be wishy-washy about it or think, "It might be a good thing to do". Be clear with yourself that now is the time to make a change for the better. You're ready to do this. You want to do this. Be determined that it's going to work this time. It also affects your intelligence and your ability to think. That’s a chilling thought. There’s also studies that show that TV makes you far more unhappy and dissatisfied with your life. "A long term study on the impact of TV on ADHD development was recently published. Researchers in New Zealand found that kids who watched more than 2 hours of TV per day between ages 5 to 11 were significantly more likely to develop symptoms of attention deficit disorder (ADHD) than those who watched less. “Those who watched more than two hours, and particularly those who watched more than three hours, of television per day during childhood had above-average symptoms of attention problems in adolescence,” Carl Landhuis of the University of Otago in Dunedin wrote in his report, published in the journal Pediatrics. Young children who watched a lot of television were more likely to continue the habit as they got older, but even if they did not the damage was done, the report said. “Hence, children who watch a lot of television may become less tolerant of slower-paced and more mundane tasks, such as school work,” the researchers wrote." Other research also shows that TV can cause behavior problems in children. If it's doing all that to children's brains, it's affecting your brain too. It can also cause health problems with an increase in the risk of getting diabetes or heart disease. They say it can even shorten your life. Another recent study found that watching the news can increase people's levels of stress, anxiety and fear. Once you know all the potential negative effects, you’re less likely to see TV as an innocent past time. 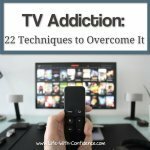 Besides helping your brain and your health, there are numerous other reasons why you might want to make this change and overcome your TV addiction. You’ll get more rest because you’re not staying up too late. This will lead to not feeling so tired and being able to cope better with your daily life. There are a ton of benefits to cutting out, or at least reducing your TV consumption. There's also very few negatives to stopping it. Have a plan as to what you’re going to do instead of watching TV. do some stretching or other exercise? If you don’t have a plan then you’ll most likely drift into whatever catches your immediate attention like reading your Facebook posts or Instagram. Or the worst option of all would be to start watching YouTube videos. YouTube can be even more addicting than TV so be aware of what you’re going to do instead. I found when I first decided to go a week without any TV that I drifted into emailing people and thus was still sitting in front of a screen which isn’t what I wanted. You need to be intentional with your time. Even if that intention is to explore more things that interest you. Habits are often triggered by the act of doing something. For example, you brush your teeth after you eat breakfast or before you go to bed. So, if your TV has become a mindless habit for you, then you need to figure out what's the trigger for you to turn it on? Do you normally turn on the TV as soon as you walk in the door from work? Also consider what situations trigger your desire to watch TV? Is it when you're feeling overwhelmed or when you want to procrastinate? Once you become aware of what the trigger is for you to turn on the TV then you can break that trigger by doing something else at that time. For example, instead of turning it on as soon as you get home, you could make yourself a calming cup of tea or put on some music. It might be a time when you feel tired... or bored... or lonely... when suddenly your head imagines how nice it would be to flop down on the couch and completely veg out. It's going to happen at some point. So, prepare for it before it hits. Have a plan in place as to what you’ll do when the TV’s siren song begins. Or what will your plan be when you go stay with family and they want to sit and watch TV all night? What will you do instead? You may feel like you’re missing out somehow if you cut out the TV. Everyone else is doing something and you want to be part of the group. If all your friends and family are watching the same show, it can make you feel connected to them if you discuss the latest episode with them. Once you stop, you might feel isolated. You could start telling them about all the things you now have time to do and what you’re experiencing. You’ll be demonstrating there are other options besides sitting at home doing nothing, gaining nothing. Never can be a terrifying word. Sometimes the thought "I can never watch tv again" can actually increase the pull back into that bad habit. You don’t have to think in terms of 'never'. The goal is to regain control over how you’re spending your time. You may end up watching TV again every once in awhile. And, even if you do watch it occasionally, the point is that you’re still making positive steps forward to regaining control over your life. You're still very much aware that you no longer want to spend all your time staring at the TV screen. You can still be a non TV watcher and watch the occasional show. Quite likely as you go through this experiment, you might watch one or two more shows here and there as the habit fades. It's entirely up to you. Here's a great quote by Epictetus. let it await your action, give yourself pause. After that, bring to mind both times, first when you have enjoyed the pleasure and later when you will regret and hate yourself. Then compare to the joy and satisfaction you'd feel for abstaining altogether. However, if a seemingly appropriate time arises to act on it, don't be overcome by its comfort, pleasantness, and allure - but against all of this, how much better the consciousness of conquering it." 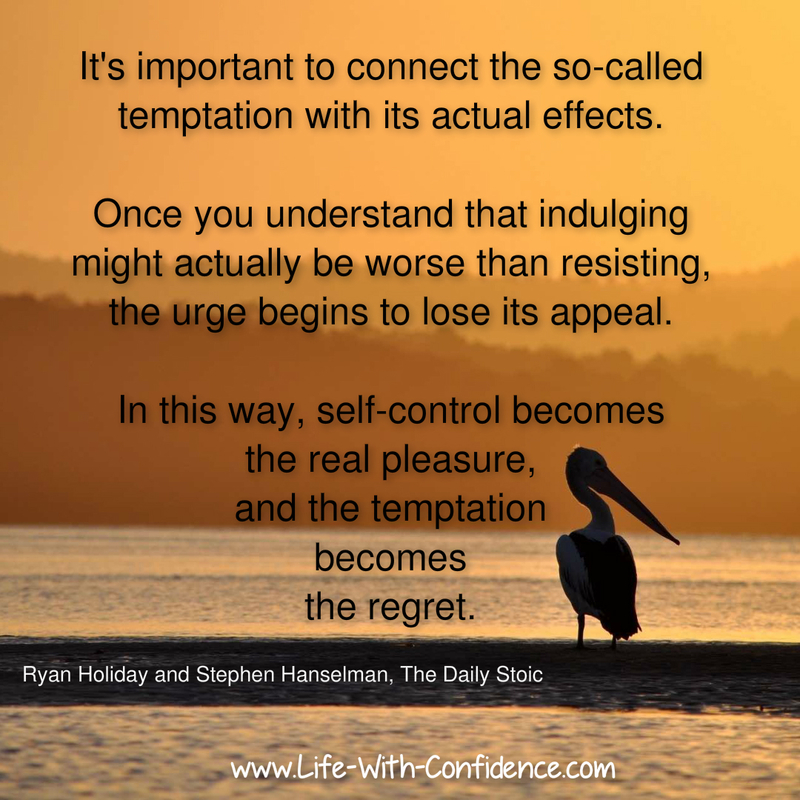 The book adds to this quote, "It's important to connect the so-called temptation with its actual effects. Once you understand that indulging might actually be worse than resisting, the urge begins to lose its appeal. In this way, self-control becomes the real pleasure, and the temptation becomes the regret". This is a valuable strategy to overcome any bad habit. When temptation hits, think it through before you indulge. Do you really want to do it knowing how you'll end up feeling afterwards? Make conscious decisions for yourself. Don't just mindlessly turn the TV on. 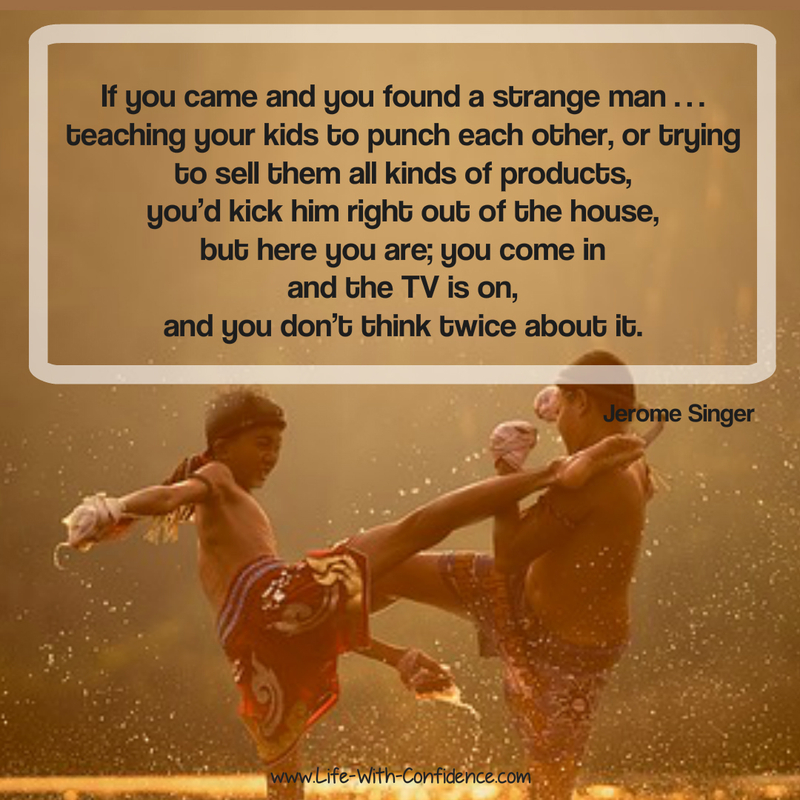 Who you are is distinct from what you do (your behavior). Yet you’re always fully responsible for your behavior. 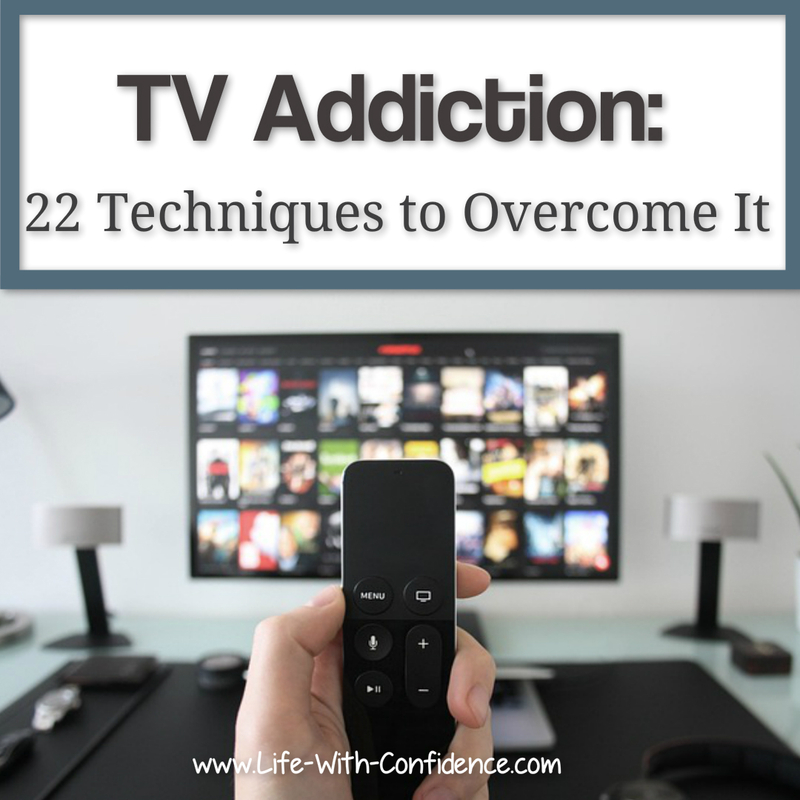 So, if you’re addicted to TV, or anything else, it’s common to think of it as “your addiction”. Something that’s part of you. This means if you see this behavior as outside yourself then it becomes easier to detach from it. The battle with yourself isn't quite so hard if what you're fighting is not seen as something inside you. You could describe TV watching as a 'parasite', or a 'con man' - something that tries to 'con' you into poisoning your mind. Whatever word you use, it'll allow you to see your TV watching as separate from who you fundamentally are. If you think of watching TV as, "I just can't help it", then turn this around and see it as the TV is bullying you or tricking you. Changing your perspective like this can help because if someone is trying to force you to do something you don't want to do, it feels much less internally compelling and may even put you off doing it. By describing the behavior as external to you, something that is 'bullying' you, then you realize you can 'stand up to it'. Try seeing the TV as controlling you or abusing you. See if that changes how you feel about it. It’s something being done to you and you have the choice to choose something different. You don’t spend your day thinking about all the things you don’t do. For example, you don’t think, “I don't cross the road without looking”. Instead you look both ways before crossing the road. It’s simply something you do. And, in the future, you might forget one day and cross without looking but that isn’t what matters. What matters is that you’re more focused on what you do in the present. That’s what's important to you. Where I'm going with this is that the temptation may be to focus on the fact that you're not watching TV. This is the wrong thing to focus on because the more you focus on it, the more you'll be drawn to it. So, it’s far more beneficial to focus on the things you are doing now instead of watching TV. You’re spending more time having conversations with people, you’re enjoying time spent on a hobby, you’re reading more fascinating books. You don’t need to waste energy thinking about what you no longer do. By doing this, you’ll be more focused on what you’re currently enjoying instead of how much TV you watch. If you see yourself as “denying” yourself something, you’re far more likely to fail at it. So, if you tell yourself you’re denying yourself TV, it’ll make you feel bad. If you see it as “freeing” yourself from TV, you’re more likely to be successful. Or if you see it as choosing not to watch TV, you’ll feel more empowered. So, if you’re feeling pulled towards the TV, pay attention to what you’re telling yourself. 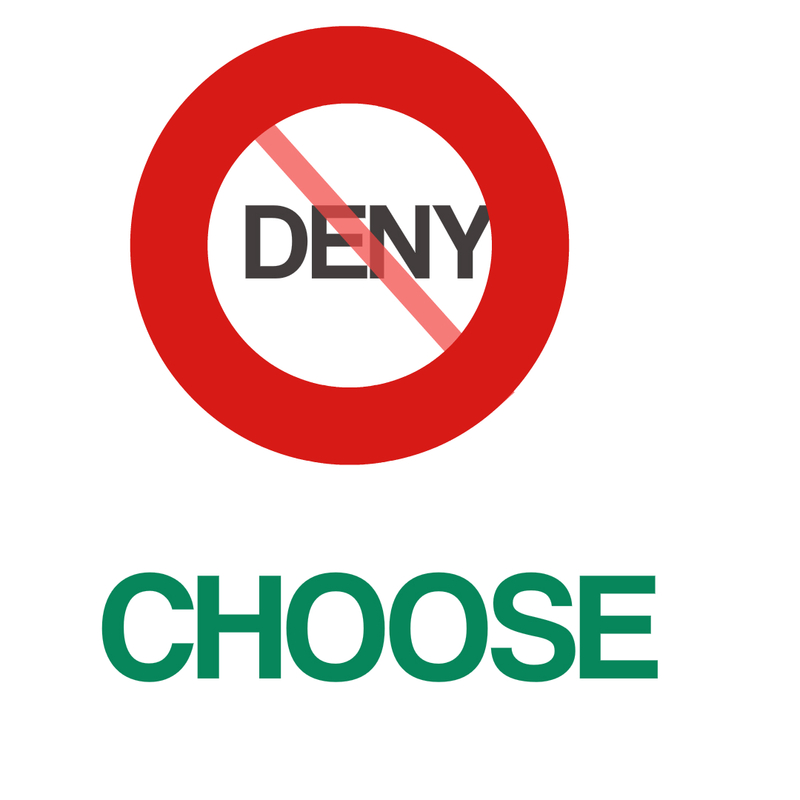 Are you being denied something you want or are you choosing something better for yourself? Pay attention to how you feel after you've gone a couple of days of not watching TV. See how much clearer your thinking becomes, how much calmer and relaxed you feel. Notice how you feel less anxious and frightened by the world around you. Appreciate how much more time you suddenly have available in your life to do what you want. Have you ever thought about why you're really watching TV? What do you get out of it besides the chance to chill out? I wrote another article about all the reasons you may not realize you're using TV for. 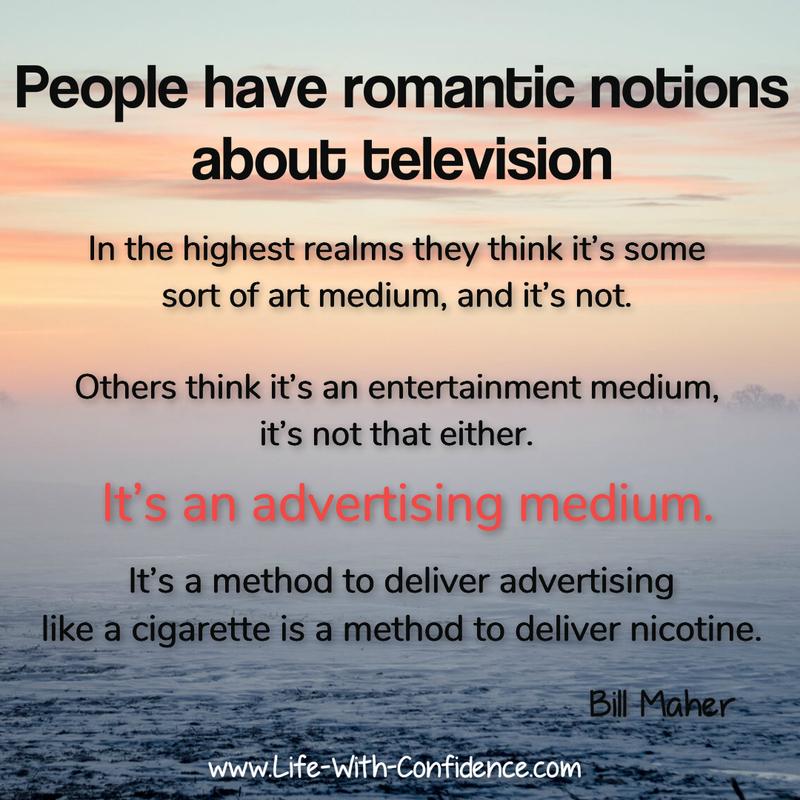 You can check it out here: The Bad Habit of TV - What are you really using it for? If you understand why you act and react in a certain way, then you gain the ability to choose your response rather than reacting on automatic pilot. It's about becoming aware of the emotions behind your actions. At first, some of your friends or family might not understand why you're doing this. They may even disapprove of what you’re doing. They’ll try to get you back into watching TV with them. Or your friends might get annoyed that they can’t talk about the latest episode of Survivor with you. Stay strong and believe in yourself. You know your actions are going to be beneficial to you in the end rather than getting sucked back into doing things you don't want to do. Think of other things you can discuss with them. You could also encourage them to join you in your new activities. Most likely after a few comments, they'll be distracted by other things and won't care whether you're watching TV or not. Your life is worth enduring a few comments by people who don't understand how important this is to you. Remind yourself of all the benefits you’re gaining from doing this. You need to be brave enough to live the life you want. CBS News ran an article which said, "33 percent of viewers say the TV is always on during their dinner, with 27 percent saying it's on half the time, or sometimes." One of the triggers I discovered was that when I ate dinner in front of the TV, I would then remain there for the rest of the evening watching show after show. I didn't have the willpower to turn it off once it was on. Once I realized this then I started to eat at the dinner table. This meant that I no longer got sucked into watching the TV for the rest of the night. The other interesting thing I discovered was that I started eating less after I made this one small change. When I ate in front of the TV, I wasn't conscious of how much I was eating and also I didn't enjoy my food anywhere near as much as when the TV is off. My brain didn't know when it was satisfied because it was focused on the TV show. Plus, I tended to watch a lot of cooking shows which would then give me the desire to eat too. The other awesome thing that happens when you don't have the TV on during dinner is that you'll start having real conversations with those you're with rather than feeling like you can only talk during the commercials. You'll choose one show to watch and once it's over, you turn off the TV. You won't engage in channel surfing. You'll be intentional about what you watch instead of random. You won't eat meals in front of it. You'll set the TV's timer so it automatically turns off after an hour. It's about making rules that demonstrate you're in control of your TV watching, and not the other way around. As Judson Brewer explains in his TED talk on a simple way to break bad habits, if you become curious about your behavior, you become more mindful about what you're doing. If you're mindful then you're able to more easily overcome bad habits. But the key is to first become curious about how you're feeling and how you respond to those feelings. Another fascinating video on addiction is this one by Johann Hari. His theory is that addiction is due to a loss of connection and bonding with others. So your addiction to TV may be because you're feeling disconnected from those around you. Worth watching. The most common reason I hear from people as to why they watch TV is because they want to relax or “chill out” for a bit. They say they’ve had a hard day and they need some downtime. I get it. I’m the same. I also used those excuses for years. If you’ve ever gone even a day without watching any TV, you’ll realize that you really aren’t all that relaxed after watching it. You’ll be “deadened” and “mindless” but you’re not relaxed and recharged and raring to go do something else which is what you said you wanted from watching TV. I found I would feel wired or bored or restless after watching hours of it. I definitely wasn't feeling calm and relaxed. So, find other ways to relax. Even drinking a warm cup of tea and listening to some calming music will relax you far more than watching the TV for hours. It’s about figuring out what does relax you. Maybe working on puzzles or doing some yoga or a hobby or getting out into nature. It’s good to zone out and disconnect from the world sometimes. You just need to figure out some healthy ways to do it. "When your mind calms, you become aware of your priorities. You have a clear answer to the most important thing. If you are nervous, restless and anxious, you wake up in the morning, jump from bed and rush to the TV to listen to the news about recent elections, for example. But if your mind is calm, you feel content and you might choose to walk in the park, to enjoy nature, spend time away from the noise made by civilization"
You don’t have to continue never watching TV, if you don’t want to. Think of it as an experiment though to see what it’s like changing one of your mindless routines. To conduct a true experiment, you need to do it for a certain length of time, not forever. So, you could try it as a one week experiment. After you’ve reached one week, make it two. After two weeks, how about trying it for a month? It can be daunting thinking that you’re giving up anything completely. So, start small. Tell yourself you’ll try giving it up completely for one day. That's something that's doable. Once you've mastered that then try two days. Keep working up and maybe the next challenge will be to go for a week. Keep building up the length of time you go for. I’ve read in a number of other articles where they recommend giving up TV for at least a month. Just the thought of that sounds daunting and overwhelming. I started with a small goal of giving it up for 2 days. I was pretty sure I could do that. Once I’d done that, I then expanded the time. It became more of a game for myself. I could do it for 2 days, so how much longer could I do it for? One of the main reasons we tend to use distractions like TV is because we're avoiding dealing with our inner demons. Instead of dealing with the fact that you hate your job or you're terribly unhappy in your relationship, you'll drown out those negative feelings by numbing yourself with the TV. Another common reason for blanking out in front of the TV is because you may be dealing with the issue of overwhelm. It'd be far better to face your demons or at least develop better coping skills. Or you may be suffering from soul loss and need to do a soul retrieval. One reason I spent years staring blankly at the TV screen was because I was so terribly tired all the time. It turned out that was partly due to my thyroid not working properly. So, if you're tired all the time, figure out the reason why that's happening rather than ignoring it. The point is you need to ensure you're not using the TV to numb your emotions or to avoid dealing with a situation. 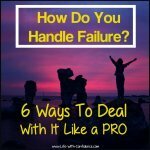 If you are, then find the solution to your issue so you can get back to living your life. The easiest thing for you to do at this point would be to close this article and go flop on your couch in front of the TV. What if instead, you take a moment and think about what you could lose by not taking control of your TV habit? How many days of your life are you going to lose? If you only watch 3 hours per day that's still 24 hours after a week. One entire day in every week is spent watching TV. In a year, that would be 52 days spent watching TV. Almost 2 months of your life. What else could you have done in that amount of time? So, what is the result in 3 months, or 6 months or even a year, if you do nothing? How much more could you have done in that time, if you’d simply never turned the TV on? You have nothing to lose by trying this experiment. On the other hand, by trying this experiment you could gain a meaningful and joyful life. This is also something entirely within your power. It's your choice. Choose wisely. You might find it easy to quit TV or you might find it takes more work. Either way, you make it harder on yourself if you think you have to simply accept TV as part of your life. That there's nothing you can do about it. Don't let your life slip away staring at a screen. Take a chance and choose to start living your life and having meaningful experiences. Use one or all of the methods above and experiment with what works for you. 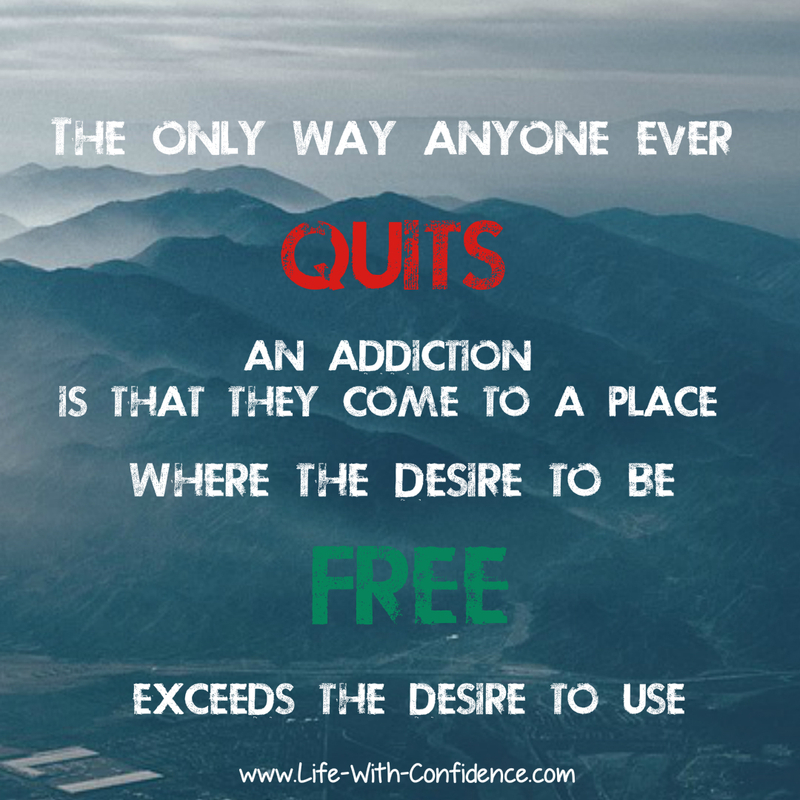 You can overcome your addiction. You deserve more than this and you can do it. Start by making the decision you want to make a change. Choose to do something different. Choose to turn off the TV.